2’. Kumagai opens the score with a penalty kick that sends Bardsley the wrong way. 0-1. 10’. Aslani evens things up with an angled shot. 1-1. 17’. Abily’s cut-back sets up Marozsan to side-foot home. 1-2. 51’. Alex Morgan challenges the Manchester City keeper. 55’. Double chance for Hegerber and Mbock. 68’. Le Sommer notches up the a third from an acute angle. 1-3. 88’. Sarah Bouhaddi paries a Kumagai header onto the post. 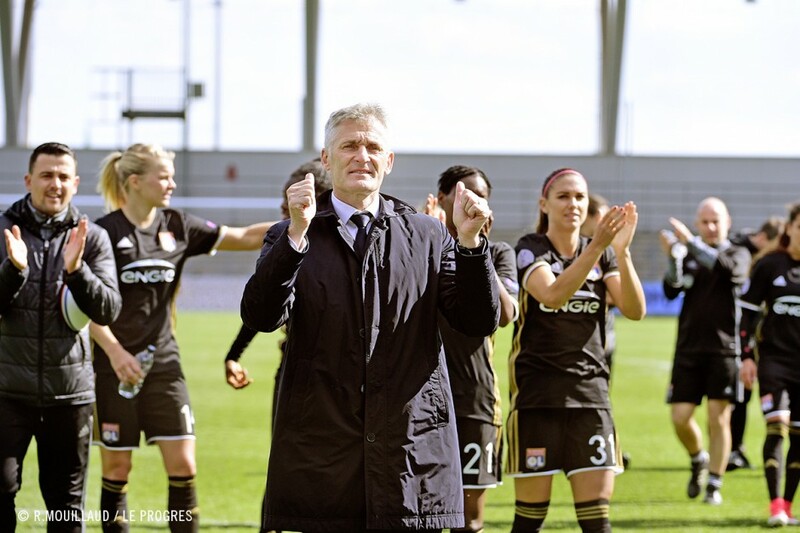 Against an English team in their first European semi-final, it was Lyon’s experience that made the difference. 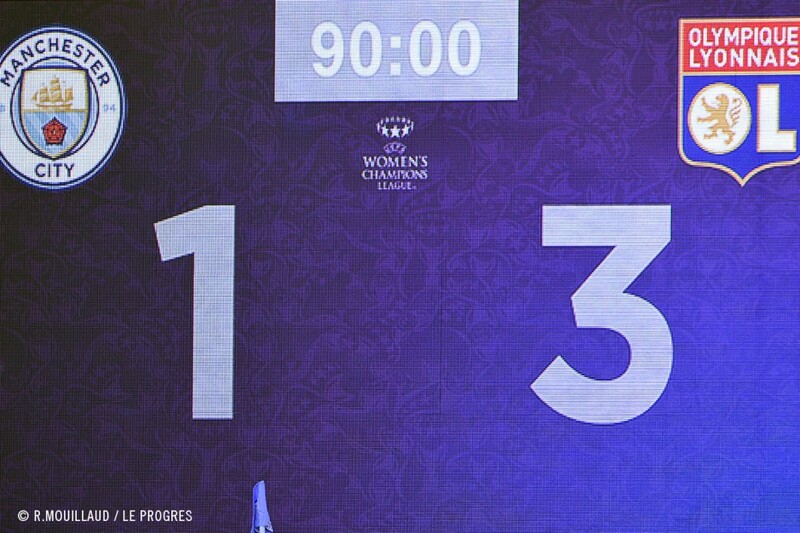 One minute of play was enough to undo the English defence and allow Saki Kumagai to put the European champions in the driver’s seat with the Japanese midfielder calmly converting. Manchester City deservedly levelled the score eight minutes later with their only chance of the first half from a counter attack perfectly finished by ex-Paris player, Kosovare Aslani. 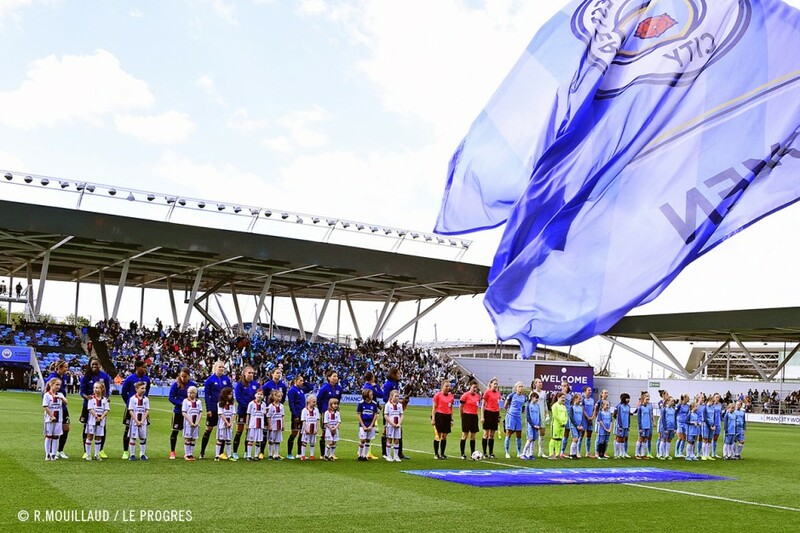 But the OL women predictably re-took the lead in the 17th minute of play with a cut-back from Camille Abily that set up Dzsenifer Marozsan to place her side-foot shot home (1-2). 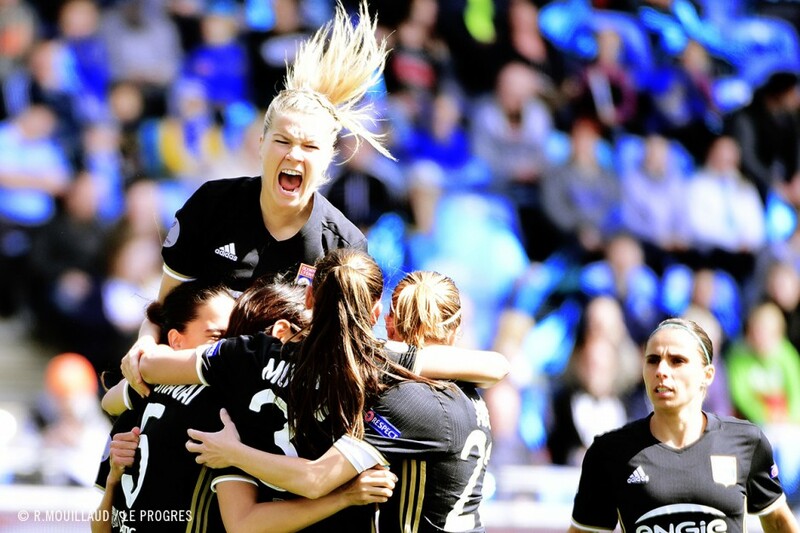 In the second half, OL gave themselves a buffer thanks to Eugénie Le Sommer’s fifth goal of the season in this competition. 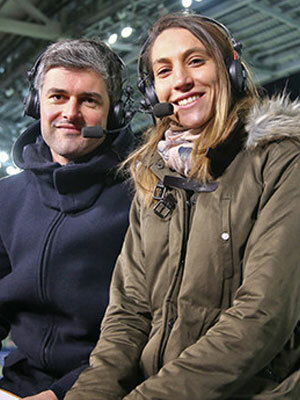 Having just come on for Morgan, the France international found her way to goal from a move started by Jessica Houara and finished with a powerful shot from a tight angle (1-3). 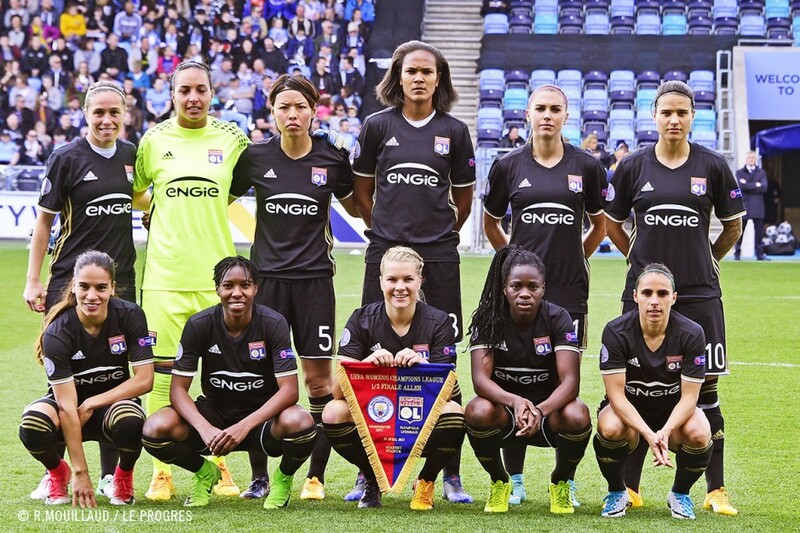 This win sees OL looking good to reach the final, which takes place in Cardiff on 1 June in Wales. To get there, they need to get through the return match next Sunday at 2045 at the Parc OL. Manchester City didn’t have time to threaten the triple champions of Europe. 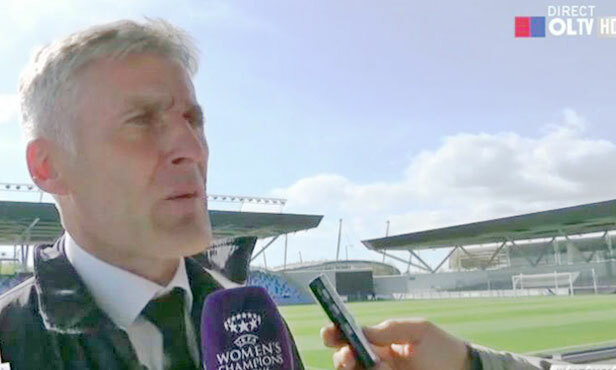 Right from the start, the OL women pressed hard on the Manchester City defence and forced the error. American Curly Lloyd’s hand-ball in the area in the first minute of play gifted Lyon the opportunity to make it 0-1. And it didn’t take much for Saki Kumagai to send her team flying and give them the advantage in this semi-final first leg. 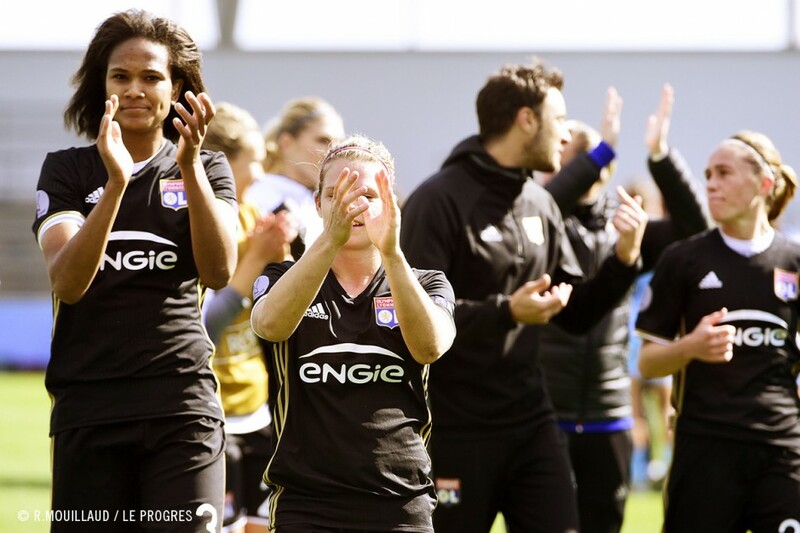 Eugénie Le Sommer took advantage of her thirty minutes on the field to make a little more history for the club. In the 68th minute, the France international forward notched up her 26th goal of the season in all competitions combined. 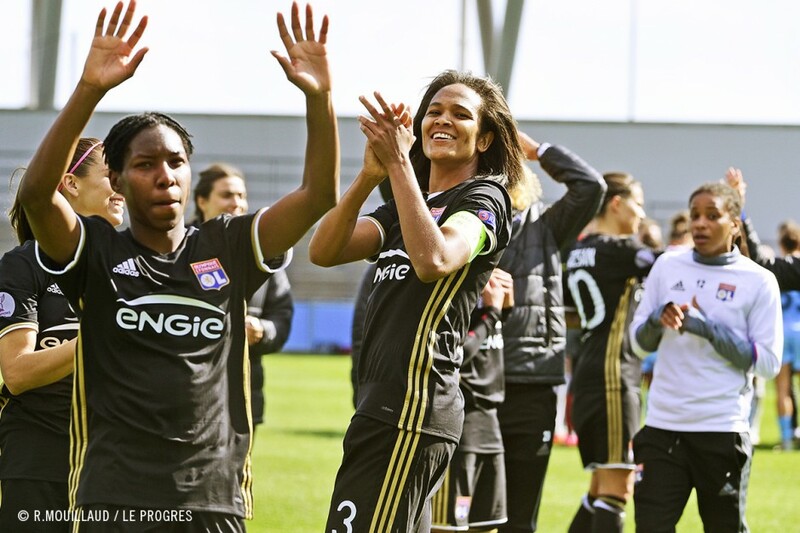 The 27-year-old player thus scored her 200th goal in Lyon colours (130 in the league, 38 in the Coupe de France and 32 in the Champions League). At the Academy Stadium in Manchester City. Referee: Katalin Kulcsar (HON). Attendance 3000 approx. 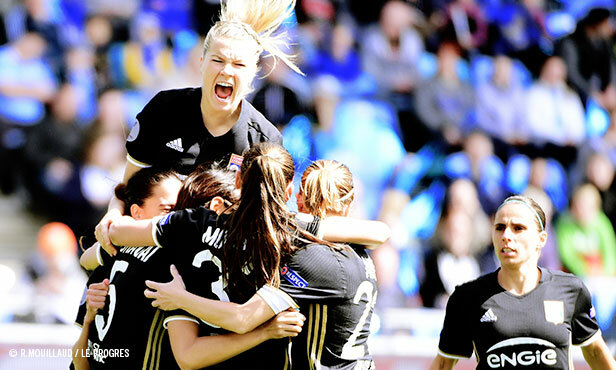 Yellow cards: Renard (61’) and Hegerberg (82’) for OL Women. 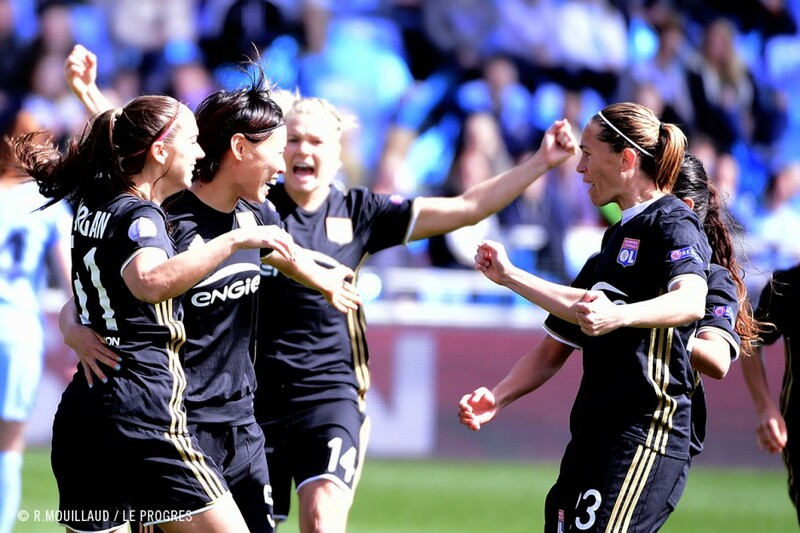 Goals: Kumagai (2’ pen), Marozsan (17’) and Le Sommer (68’) for OL Women ; Asllani (10’) for Manchester City. 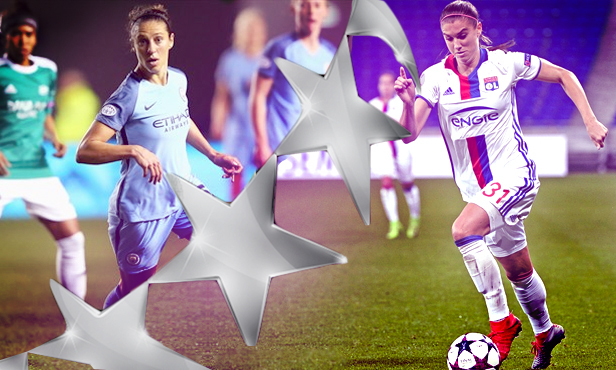 Manchester City: Bardsley – Stokes, McManus, Houghton, Bronze – Walsh, Scott, Lloyd –Asllani, Duggan (Stanway, 83’), Lawley (Christiansen, 81’). Coach: Nicholas Cushing. 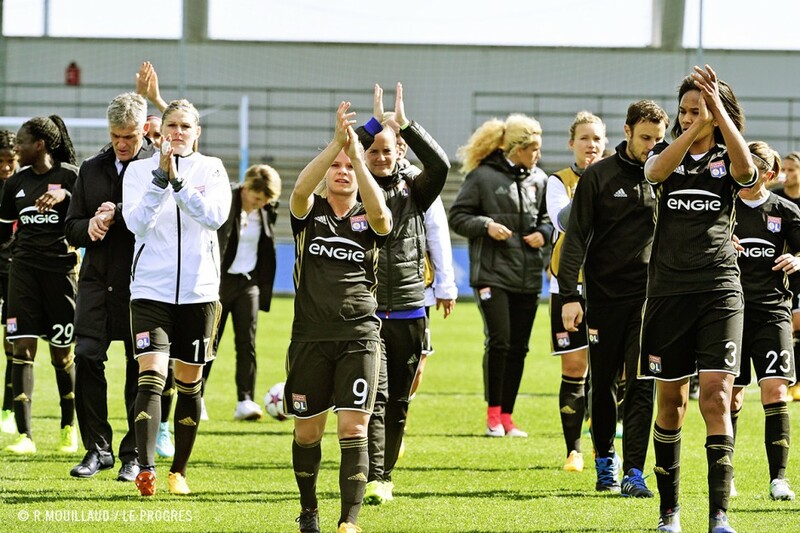 OL Women: Bouhaddi – Buchanan, Renard (cap. 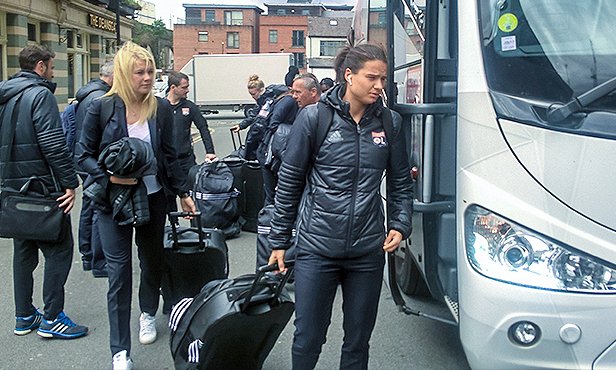 ), Mbock – Houara, Kumagai, Abily, Marozsan, Majri – Morgan (Le Sommer, 56’), Hegerberg. 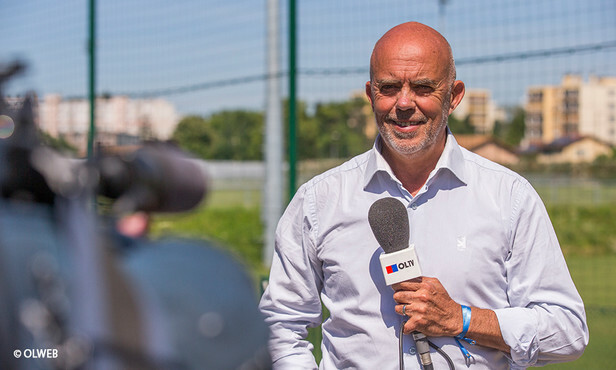 Coach: Gérard Prêcheur.